Description: The VW-18 II is a semi-automatic vertical band saw with the ability to miter from 60° left to 60° right. 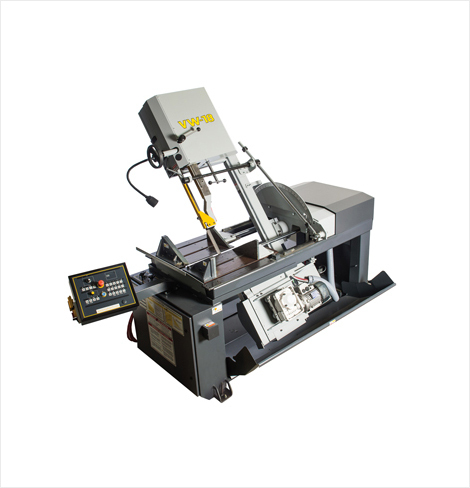 This model is one of a kind in the HYDMECH line up with its saw head that can cut at 90° and be adjusted to cut at a 3° head cant. Now available with optional powered head tilt and digital angle display. Featuring a 22"H x 18"W capacity, 5 HP motor, and 1 1/4" blade, the VW18 II is a reliable choice for all your light to medium-duty, vertical metal cutting applications cut pieces and the material still clamped, allowing for the blade to retract without snagging.